Alice Eaton Schernthanner passed on July 23, 2012, at her home in Ketchum with her family at her side. She had a fierce but quick battle with lung cancer. Alice was a remarkable woman, wife, mother, granny, aunt, friend, teacher and community member. Her many accomplishments, projects, conversations and love will have lasting effects on many generations to come, both in her family and in the community at large. Born near Calais, Maine, as Alice Murchie Eaton to Henry Boardman and Jean Ganong Eaton, Alice grew up in the woods and on the lakes of northeastern Maine. In the late 1950s, she attended the University of Maine, yet still made time to pursue her love of skiing at nearby Sugarloaf resort. While enjoying a ski weekend away from school, Alice met her future husband over an après-ski game of cards. He was a native of Rauris, Austria, named Andy who was working there as a ski instructor for the season. The two found much in common, and when he eventually traveled west to teach skiing in Sun Valley, Alice traveled west as well. The couple came to call Sun Valley home and were married on July 24, 1962. This year they celebrated their 50th wedding anniversary. Alice was not only a colorful character, but an important asset to the Ketchum-Sun Valley community for five decades. Alice always enjoyed skiing, tennis, biking, camping and riding horses. Upon moving to the valley, she quickly grew into an activist and "local legend." As a member of the Papoose Club, Alice was instrumental in starting the Blaine County Schools Ski Program, the Kindercup and the Pancake Breakfast on Labor Day. Alice was also a local favorite in the Labor Day and Fourth of July Parades when riding with the Ketchum-Warm Springs Riding Club and enjoyed many rides, camping trips and meals with this local club. She helped coach sports and volunteered her energies to countless events during all the years that her children were in the Blaine County School System. Alice also helped start the local recycling program from the back of a semi-truck parked near Hemingway Elementary. Likely, some of the most enduring memories of Alice will include her 25-plus years working for the Sun Valley Ski School as both instructor and children's program supervisor. For her it was perhaps more a love than a job, and Alice touched the lives of both her colleagues and the thousands of children from around the community, country and world who learned to ski with her help. In recent years she has happily welcomed her children's partners and five grandchildren into her life. Time with "Granny" has been a special time for her grandchildren, who know her house as a place of love, fun and never-ending action, as so many of us remember Alice. Alice will be remembered by her family, which extends into the community and the world. Alice was preceded in death by her sister, Muriel Whitlock, and her daughter, Kimberly Theresa Schernthanner. 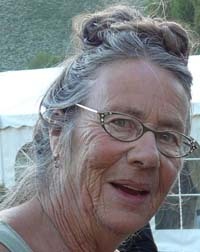 She is survived by her husband, Andy Schernthanner; six children, Heidi, Liesl, Pater, Monika, Britta and Andreas; sister, Joan Mauk; three sons-in-law and many nieces and nephews. Services will be held at Dollar Cabin on Sunday, July 29, at 2 p.m. It will be a time of community, laughter and mourning at the loss of such an amazing woman. In lieu of flowers, a benevolent fund has been set up at Bank of the West, 725-0672. Share your stories of Alice at www.woodriverchapel.com.